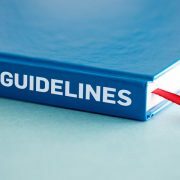 Introducing the Search Quality Evaluator Guidelines. The Google Search Quality Evaluator Guidelines give a really good insight into what Google wants from websites, webmasters and SEOs. The 160-page document defines exactly how Google Search Quality Raters should dissect and rate websites under review. Google uses this information to validate and improve its search engine algorithms (or recipes). Google Search Quality Raters are a worldwide team of over 10,000 staff who physically review search engine results pages and rate websites in accordance with the Search Quality Evaluator Guidelines. Search Quality Raters are not able to change the search engine results. They simply test the quality of the Search Engine Results Pages (SERPs) and report their findings. An interesting point is that the document advocates the use of Google’s advanced search features to look for copied content and to ascertain the reputation of a particular website or business. See section 7.4.7 for example. https://www.londonwebfactory.com/wp-content/uploads/2018/01/Search-Quality-Evaluator-Guidelines.jpg 480 1000 Adrian Smith https://www.londonwebfactory.com/wp-content/uploads/2018/10/logo-2018-8.png Adrian Smith2018-01-11 10:54:332018-05-16 12:49:04Introducing the Search Quality Evaluator Guidelines.